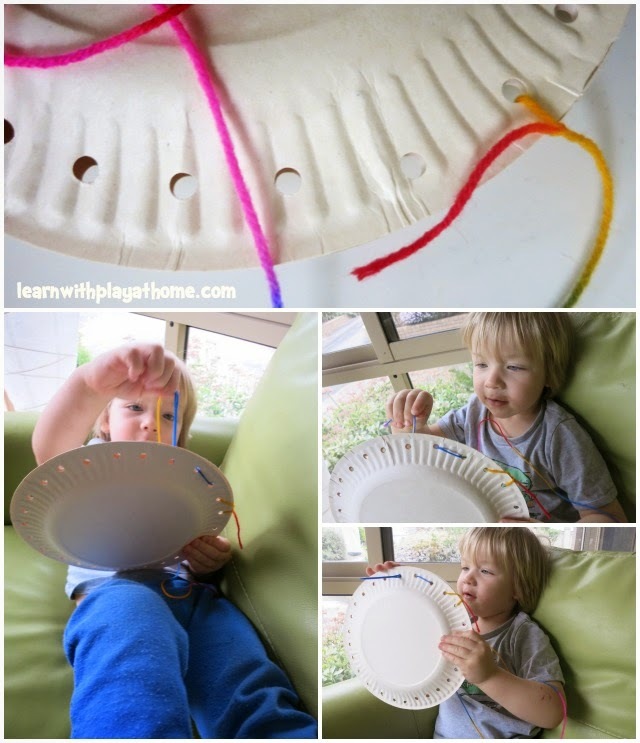 Hold 2 paper plates evenly together and punch holes through both plates all the way around the circumference. Show children to concept of pushing the needle through the hole and pulling out the other side. Push back up through the next hole and pull through. Repeat. My son wasn't able to complete the plate sewing the entire way around. He got bored and gave up before he finished. He did however, get to experience something similar to his sister. He got to try and feel important and special. For the time he did work on it, you could see how much concentration and skill was required and he loved the special sewing just for him. 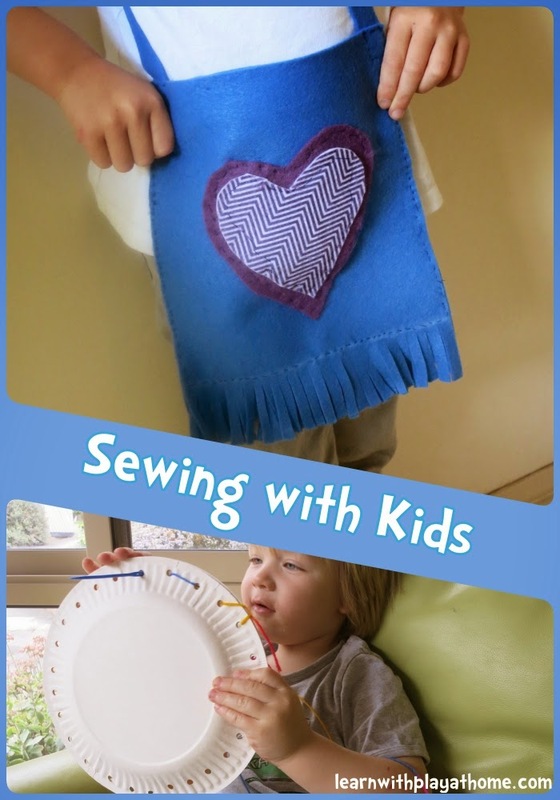 If you are inexperienced with sewing yourself or with project suitable for kids, a good step-by-step book could be just what you are after. The great thing about this is that it can give you a great starting point, inspiration, templates and how-to's. It certainly made us feel more confident with finally giving sewing a go. The book we used, Sew Together, Grow Together was written by Trixi Symonds and photographed by Nicola Bailey. It is recommended for children aged 6 and up. (My daughter is currently 5y/o). Maddie loved flicking through the full colour Sew Together, Grow Together book, trying to decide which project we would start with. She finally decided on the Hippy Bag which was fine by me as the majority of the sewing was in straight lines. I thought this'd be a good starting point for us. I love that the book included templates and lots of handy hints. We chose to make ours without using any templates. The inspiration and instructions from the book were enough of a starting point for us and we love to be able to customise projects to our own tastes. Trixi clearly knew the audience she was writing for when she did this book as it's full of the types of projects that kids are into. Draw the decorations for your bag on your extra coloured felt and cut out. In the book they decorated their bag with flowers. My daughter wanted hearts so that's what we went with. Get one of the rectangular pieces of felt that will be the front of the bag. Draw a line along the bottom a few inches up. This line will be the line you sew the bottom of the bag and below it will be where you cut your fringe. Drawing it in now shows you where the bottom of the bag will be so you can centre your embellishments. Place your 2 rectangular pieces of felt together to form the bag shape and then pin the handle in place. Sew a square shape where the handles attach to the bag. This keeps them on really well. The sewn on handle will help keep the bag together while you sew around the edges. Use pins to hold it in place properly so that it's all lined up. Sew all the way around the edge of your bag. Try to keep the stitches as close together as possible to avoid having gaps in your bag. When your bag is all sewn up, the last thing to do is to snip in your fringe. After all her hard work sewing (with minimal assistance), my daughter was too nervous to do the cutting of this bit so I did this bit for her. Taa-daaa! My daughter was very proud of her achievement. The bag project took us almost all day. 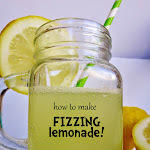 We would do parts of it and then if my daughter was getting a little frustrated with her pace (children tend to sew much slower than we would), we would leave it for a bit and come back to it. She was really glad she persevered and couldn't wait to take it to school for show-and-tell! 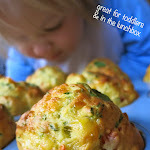 I hope you've found some inspiration to try some sewing with your children. For a copy of Sew Together, Grow Together, you can purchase it directly from Trixi's Etsy shop in paperback or PDF format or from Booktopia here. You can also read a great review on the book by Children's Books Daily. 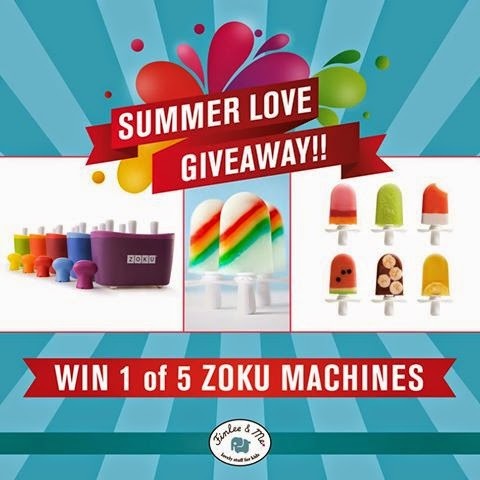 To win one of 5 awesome Zoku Machines. How WONDERFUL! 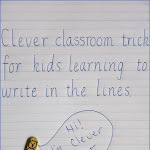 Looks like a great book with lots of simple ideas. Very impressive ideas for babies, as a owner of baby bean bags beds company I really appreciate your work. keep posting. Thanks for the great review. I love Maddies bag! 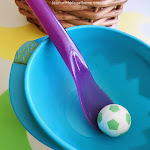 This looks like a wonderful project for a girl, great for fine motor development! Kids don't make things with their hands these days! This is just lovely! Clever girl Maddie...didn't she do brilliantly! And of course little bro did a great job with his project too! Trixie's book looks gorgeous, I need to get back some time for sewing, would love to introduce it more to my girls, love that there are templates too! Awwe, very cute little bag.